Not long ago a fellow Historical Novel Society member was lamenting the fact that the Stuart dynasty does not get enough exposure. I see the tide turning. 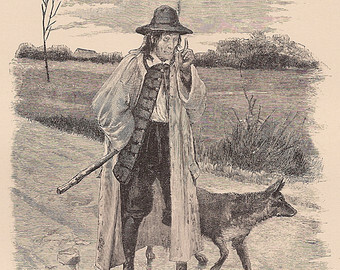 More and more English history novels are set during the English Civil War and the Cromwellian era. Let’s not forget some of the 19th century classics who drew inspiration from that time period. 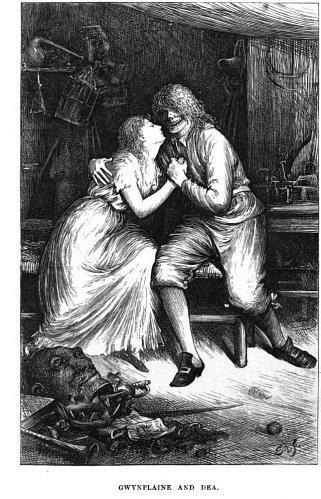 Everyone knows Blackmore’s Lorna Doone. However, not as many readers are familiar with Victor Hugo’s L’homme qui rit. 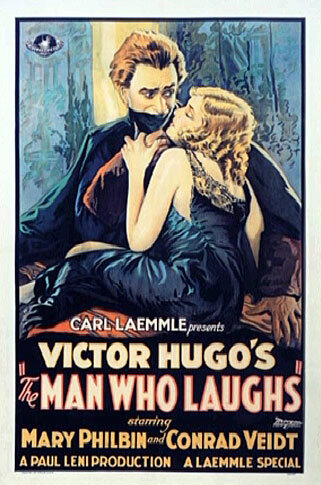 The Man Who Laughs is Victor Hugo’s last exile novel written over the course of fifteen months. This novel did not receive nearly as much fame as Notre-Dame de Paris or Les Misérables did. “Serious” critics condemn The Man Who Laughs for its brutalities and absurdities. Ordinary readers often brand this novel as a Two-Beauties-and-the-Beast story. The protagonist, Gwynplaine, is a disfigured sideshow performer whose face had been carved into a perpetual grin by an amoral surgeon who made a fortune creating monsters. Gwynplaine is coveted by two beauties, one of which is Dea, a blind actress and a childhood friend who only perceives his noble soul while remaining oblivious to his outward deformity, and the other Josiana, a spoiled duchess who yearns to escape the stagnant routine of the royal court by taking a hideous mountebank for a lover. This bizarre love triangle is what most readers remember from the novel. There is a lengthy and graphic seduction scene that many readers revisit time after time. Although disturbing, this scene is a stunning segment of extremely articulate and sensual prose. However, there are equally articulate, if less arousing, passages that deal with English history and politics. Unfortunately, many readers skip over those passages. The political component in the novel is just as significant as the romantic one. Hugo did not include politics and history to divert the story line. Politics and romance were not intended to rival but to complement each other. The protagonist’s pseudo-Celtic name, presumably derived from the Welsh word “gwyn” for “white,” connotes innocence and purity. The Celtic origin of the name also suggests estrangement from the English culture. Very few readers remember the reason why the protagonist was disfigured in the first place. Gwynplaine’s natural father remained a supporter of the Republic even after the Restoration. The hapless child and his father are both depicted as victims of monarchy. First Charles II exiles the father, and later James II sanctions the kidnapping and the disfigurement of the child. 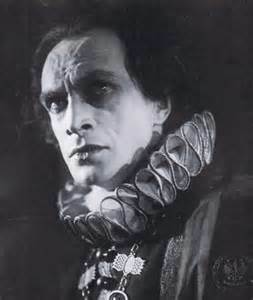 In the novel, Cromwell himself never makes a personal appearance. We learn about him by examining the lives of those who had outlived him. The action takes place well after Cromwell’s death, from 1690 to 1705. Hugo devotes an entire chapter to the protagonist’s natural father, a fictitious rebel lord by the name of Lord Linnaeus Clancharlie, Baron Clancharlie and Hunkerville, one of the few lords who remained loyal to the Republic even after the fall of Cromwell. Refusing to accept the return of Stuarts to the throne, Lord Clancharlie flees to Switzerland and marries Anne Bradshaw, a fictitious daughter of John Bradshaw, one of the key regicides. Gwynplaine, whose real name is Fermain, is the fruit of this marriage and the only legitimate heir to his father’s estates. Back in England Lord Clancharlie also has an illegitimate son David with Lady Dirry-Moir, a Scottish noblewoman who refused to follow him to Switzerland and chose to give herself to Charles II. Hugo goes to great lengths describing the plight of Lord Clancharlie and the utter lack of sympathy from his former friends who pledged allegiance to the Stuart dynasty after the Restoration. Linnaeus Baron Clancharlie, a contemporary of Cromwell, was one of the peers of England — few in number, be it said — who accepted the republic. It was a matter of course that Lord Clancharlie should adhere to the republic, as long as the republic had the upper hand; but after the close of the revolution and the fall of the parliamentary government, Lord Clancharlie had persisted in his fidelity to it. England was happy; a restoration is as the reconciliation of husband and wife, prince and nation return to each other, no state can be more graceful or more pleasant. Great Britain beamed with joy; to have a king at all was a good deal — but furthermore, the king was a charming one. Charles II was amiable — a man of pleasure, yet able to govern; and great, if not after the fashion of Louis XIV. He was essentially a gentleman. Lord Clancharlie, who refuses to partake in this jubilation, is regarded as a madman by his contemporaries. Plainly a dupe and traitor in one. Let a man be as great a fool as he likes, so that he does not set a bad example. Fools need only be civil, and in consideration thereof they may aim at being the basis of monarchies. The narrowness of Clancharlie’s mind was incomprehensible. His eyes were still dazzled by the phantasmagoria of the revolution. He had allowed himself to be taken in by the republic — yes; and cast out. He was an affront to his country. Take Monk’s case. He commands the republican army. Charles II, having been informed of his honesty, writes to him. Monk, who combines virtue with tact, dissimulates at first, then suddenly at the head of his troops dissolves the rebel parliament, and re-establishes the king on the throne. Monk is created Duke of Albemarle, has the honour of having saved society, becomes very rich, sheds a glory over his own time, is created Knight of the Garter, and has the prospect of being buried in Westminster Abbey. Such glory is the reward of British fidelity! It is important to stress that it is the post-Restoration society that views Linnaeus Clancharlie as a madman. Hugo himself views his hero as a martyr. Hugo’s loyalties invariably lie on the side of the outcast. He had always sympathized with those who were ridiculed by the masses. Because Hugo himself was living in exile while writing The Man Who Laughs, it is obvious that Lord Clancharlie’s fate parallels his own. Hugo presents Linnaeus Clancharlie as a man of principle, someone who chose exile and ridicule over communion with those whose political views he did not share. When Gwynplaine makes a comment about the image of Queen Anne on a coin representing oppression, Ursus scolds him for insolence. “Watch over your abominable jaws. There is a rule for the great — to do nothing; and a rule for the small — to say nothing. The poor man has but one friend, silence.” It is apparent from this passage that it is not patriotism that compels Ursus to defend the Queen. The old man promotes silence and humility merely for the sake of one’s safety. Later, when Lady Josiana attends a performance of Chaos Vanquished, an amateur play in which Gwynplaine plays the leading role, Ursus exclaims: “She is more than a goddess. She is a duchess.” This statement implies that, in Ursus’ understanding, secular hierarchy overrides divine laws. This very statement awakens suspicion and insecurity in Dea, whose name incidentally means “goddess” in Latin. The blind girl becomes aware of her inferiority to the brilliant socialite. How I execrate kings! And how shameless are the women! I have been told a sad story. How I hate Charles II! A woman whom my father loved gave herself to that king whilst my father was dying in exile. The prostitute! Charles II, James II! After a scamp, a scoundrel. What is there in a king? A man, feeble and contemptible, subject to wants and infirmities. Of what good is a king? You cultivate that parasite royalty; you make a serpent of that worm, a dragon of that insect. There will come an hour when convulsion shall break down your oppression; when an angry roar will reply to your jeers. Nay, that hour did come! Thou wert of it, O my father! That hour of God did come, and was called the Republic! It was destroyed, but it will return. Meanwhile, remember that the line of kings armed with the sword was broken by Cromwell, armed with the axe. Tremble! Gwynplaine’s reference to Cromwell amuses the lords, because in 1705 monarchy was not in danger. Revolution was not a realistic menace. Cromwell was but a distant memory. A significant component of Gwynplaine tragedy is that he is fighting for a hopeless cause. The lords whom he addresses with such passion and indignation realize the security of their situation. Like his natural father, Lord Clancharlie, Gwynplaine is just a madman in the eyes of the English aristocracy. The novel ends tragically. 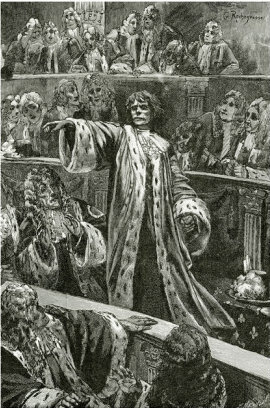 After being ridiculed and insulted by the lords, Gwynplaine flees the Parliament in hopes to return to his old life as an entertainer. For a brief moment he reunites with his old family, Ursus and Dea, only to find that the girl is deadly ill. When Dea dies in his arms, Gwynplaine throws himself in the Thames and drowns. There have been several theatrical and cinematic adaptations of The Man Who Laughs of varying success and quality. Not all of them highlight the political nuances of the original novel. Two screen adaptations particularly stand out: the 1928 silent film by Paul Leni and the 1971 French miniseries by Jean Kerchbron. The 1928 version opens with a scene of Lord Clancharlie’s execution that is not described in the novel, but the rest of the film focuses primarily on the love story and the concept of universal justice. The English monarchy is ridiculed rather than criticized. To please the audience, the director chooses a happy ending. The young lovers, their aging foster-father and the pet wolf all reunite and sail off to France. The 1971 version is a less known but more thorough and faithful adaptation. 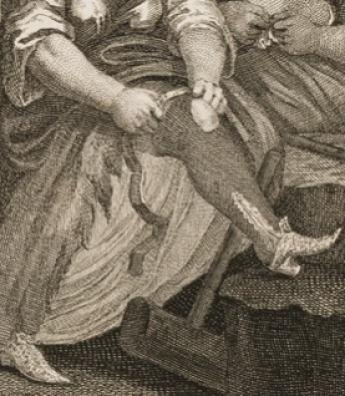 There are several graphic torture scenes that are taken directly from the novel. Gwynplaine’s speech in the Parliament is also taken from the original text almost word for word. All historical references to Cromwell and the Republic were included. Kerchbron believed it important to preserve the political context, without which much of Hugo’s message would be lost. Taking republican politics out of The Man Who Laughs is like taking Gothic architecture out of Notre-Dame de Paris. Kerchbron’s faithfulness to the original text is commendable. An only child of classical musicians, M.J. Neary is an award-winning, internationally acclaimed expert on military and social disasters, from the Charge of the Light Brigade, to the Irish Famine, to the Easter Rising in Dublin, to the nuclear explosion in Chernobyl. Notable achievements include a trilogy revolving the Anglo-Irish conflict, including Never Be at Peace, a novel of Irish rebels. She continues to explore the topic of ethnic tension in her autobiographical satire Saved by the Bang: a Nuclear Comedy. Her latest release is a cyber mystery Trench Coat Pal set in Westport, CT at the dawn of the internet era. Colored with the same dark misanthropic humor as the rest of Neary’s works, Trench Coat Pal features a cast of delusional and forlorn New Englanders who become pawns in an impromptu revenge scheme devised by a self-proclaimed Robin Hood. A revised edition of Wynfield’s Kingdom, her debut Neo-Victorian thriller, was recently released through Crossroad Press. Wynfield’s War is the sequel following the volatile protagonist to the Crimea. Set in 1910 Ireland, Big Hero of a Small Country is a tragic and violent tale of a family ravaged by an ideological conflict. You can visit her blog here.